Heather is our November Employee of the Month. 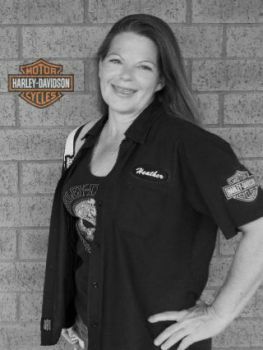 Heather has been with Harley-Davidson® of Dallas for over 4 years now. She is the ultimate Customer Service Specialist. If you need a bike Heather will go above and beyond to help you out! She loves her family and her 2 dogs. She spends her time riding and hanging out with her family! We all love Heather!